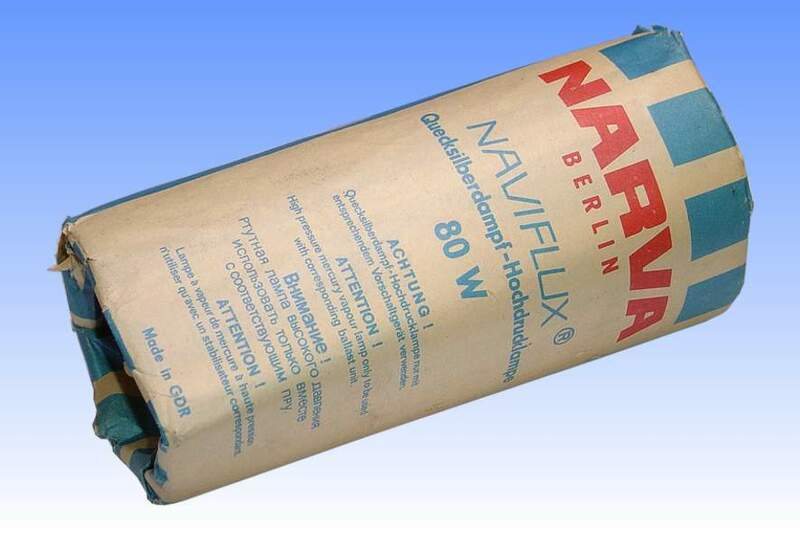 For many years, the low wattage mercury discharge lamps from East German firm Narva were manufactured with a unique electrode design. 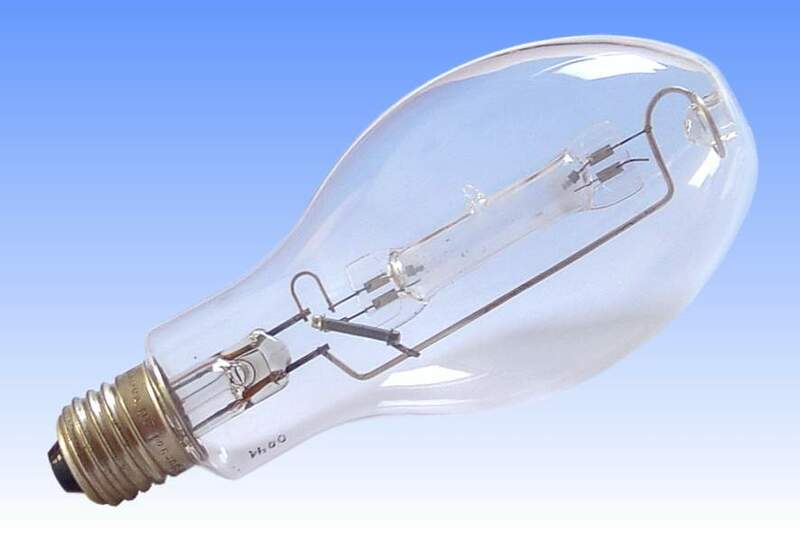 This style of electrode can be found in the 50W, 80W and 125W lamps made during the 1960s, 70s and 80s. The electrodes of nearly all mercury lamps take the form of a spiral of tungsten wire wound around a tungsten shank, the coil having sufficient volume to radiate heat fast enough and keep its temperature within safe limits, while the thinner shank reduces the rate of heat conduction into the pinch. 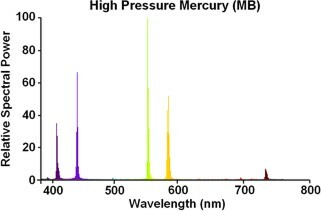 However to maximise lamp efficacy, an electron emissive material is also necessary. 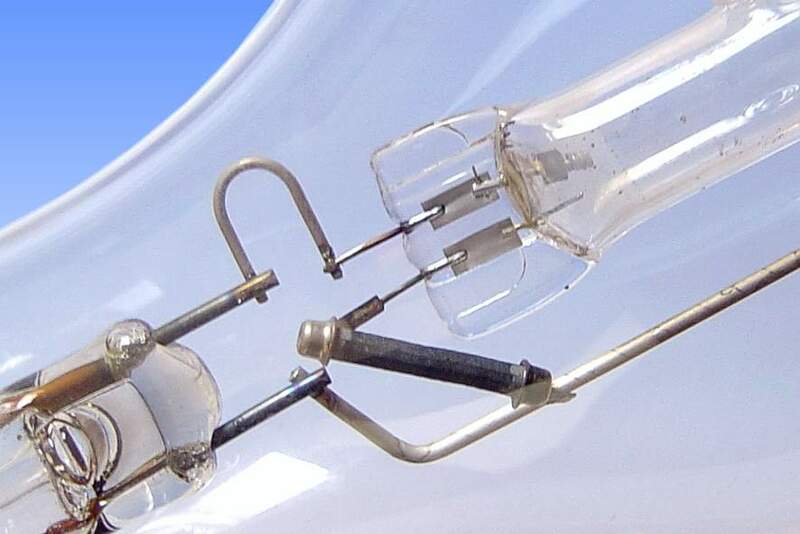 This can take the form of a thorium metal strip embedded under the tungsten coil, but lamps of that type suffer poor lumen maintenance and the arc tube ends blacken rapidly. The more common solution is to fill the spaces between the coils and shank with a double or triple oxide emitter, usually consisting of barium, strontium and calcium oxides, or just the barium and strontium oxides plus powdered tungsten. 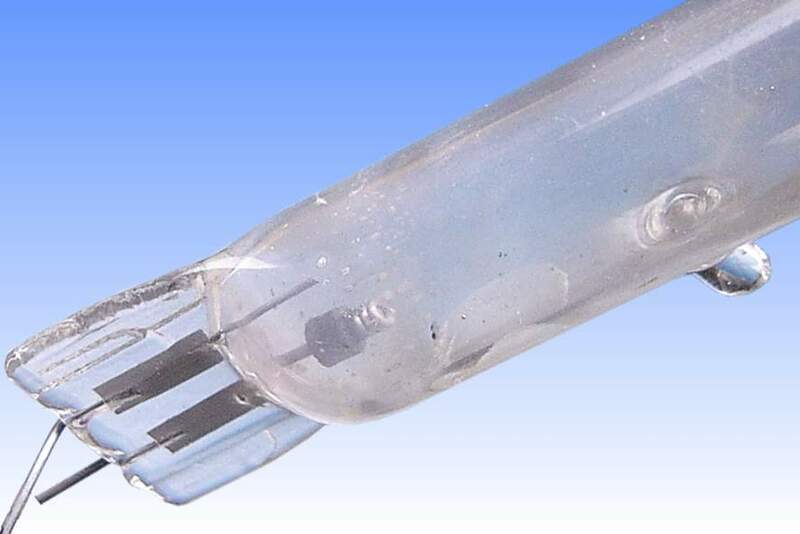 This type of emitter dramatically improves lumen maintenance. The approach taken by Narva however was to fix a sintered pellet of emissive material directly behind the electrode coil. The pellet was thus protected from the intense heat of the arc root to extend its lifetime, but was maintained sufficiently warm that a layer of its constituent metals could diffuse over the surface of the tungsten and act as a good electron emitter. The precise constituents of this sintered pellet are unknown, but the base material is powdered tungsten with 3% rhenium.